The Palestinian BDS National Committee (BNC) held its sixth conference in al-Bireh (Ramallah) on March 16, 2019. 1 Present were Palestinian BDS campaign activists; representatives from the PLO, Fatah and the National Initiative Movement (a leftist Palestinian organization headed by Mustafa Barghouti), and other representatives. 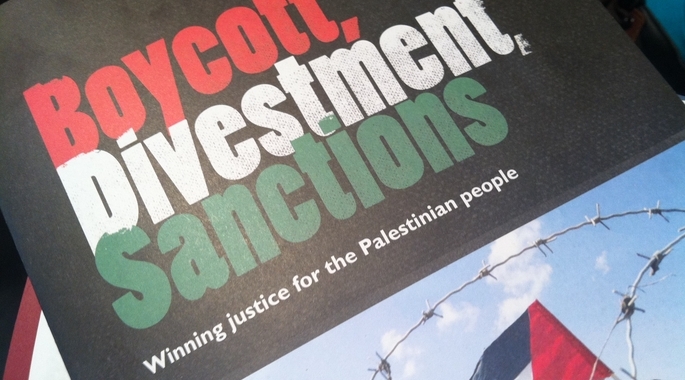 Workshops were held at the conference dealing with various aspects of the BDS campaign. Workshop participants presented their recommendations to the conference plenary session. The conference organizers hoped for 1,000 participants (Conference Facebook page), but apparently fewer people attended. In addition, it is not clear if BDS representatives came from abroad. The conference was covered by the Arab and local Palestinian media, but apparently was not widely covered by the Western media. Read full report, click here.